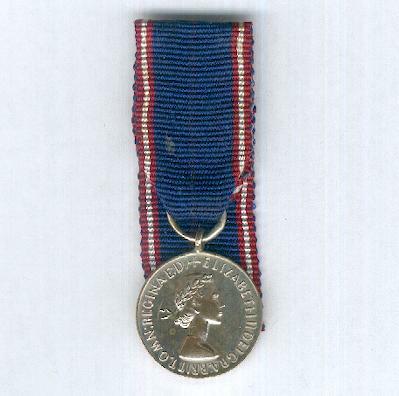 Miniature circular silvered bronze medal with loop for ribbon suspension; the face with the head of Queen Elizabeth II facing right, circumscribed ‘ELIZABETH II DEI GRA: BRITT. 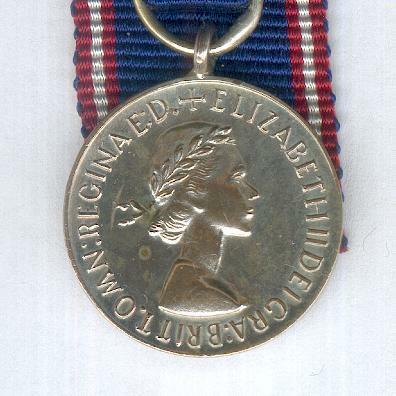 OMN: REGINA F: D. +’ (Elizabeth II by the Grace of God Queen of Great Britain, Defender of the Faith); the reverse with the cipher of Queen Elizabeth II centrally within a laurel wreath, inscribed below on three ribbons ‘ROYAL VICTORIAN MEDAL’; diameter 18.49mm (0.73 inch); slight surface wear and age marks; on original court mounting. 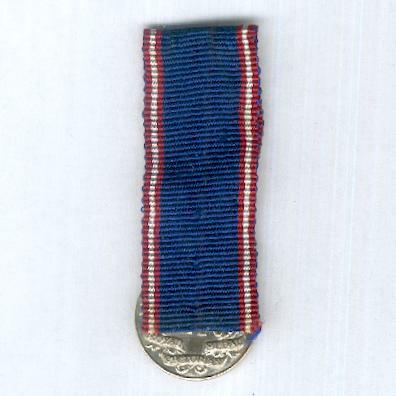 The Medal was instituted on 21 April 1896 to be awarded to those below the rank of officer for service to the sovereign and is in his or her personal gift. 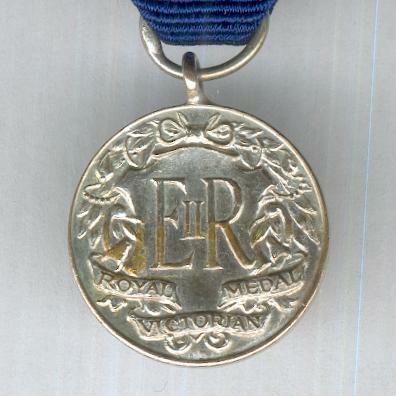 It is most often given to members of the Royal Household, to those who are of service to the monarch during foreign tours and during state visits to heads of state and their personal entourage.